Just how “supercalifragilisticexpialidocious” is Tharaa’s Mary Poppins themed party? 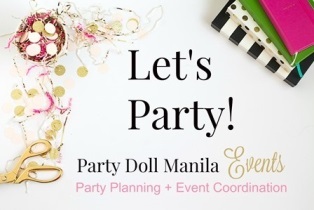 Two of the most well-loved Manila children party suppliers came together to make this lovely theme came alive. With Spark + Twinkle’s over the top creativity and Handicrafts Atbp.’s perfectly crafted party details, they were able to translate this timeless classic to a modern-day fab celebration. I’m so glad how Tharaa’s party makes me relive this magical story all over again. If you must know, darling little Tharaa is the one and only little princess of Grace, the mompreneur behind Handicrafts Atbp. I’m not at all surprised to see all these AMAZING ideas and elements. In fact, Tharaa’s fun-filled birthday bash is “practically perfect in every way”! “Kathleen and I collaborated with regards to all the party details and we decided to change the color scheme to make it more kid-friendly. Party Planning started right after Tharaa’s Baptism since I wanted to maximize my time and budget. It’s about 11 months in preparation to be exact. From time to time, I get to coordinate new ideas with Kathleen about the party. We shared and discussed our different options before we finally settled in for a Mary Poppins themed party which I think was a first of its kind here in the Philippines. The cake was designed by Kathleen and it really is quite lovely, right? It was also Kathleen’s gift to my daughter! (Thank you, Kathleen). For the dessert spread, Sugarplum Pastries incorporated all these Mary Poppins inspired details such as umbrellas, kites, penguins and spoonful of sugar”. Inspired by the sidewalk chalk-art part of the movie, guests were invited to write their well wishes for Tharaa in this loooong paper which resembled a sidewalk. Spot on! Many activities were lined up to keep their guests entertained through-out the event including fun games and magic show by Symond, personalized name plate station, food carts, flipbook & photo booth. Tharaa’s twirly wirly cake is so delightful! Also present in their dessert spread are the spoonful of sugar cakepops and sugar cookies that have 100% Mary Poppins details on it. Colors and lots of colors are evident in this movie and so are in any Mary Poppins themed parties. So to tie-in their favors, they gave out this basket filled with art supplies. Party details (Horses and Penguins): Handicrafts Atbp. Giveways for kids: Art caddies by Handicrafts Atbp. Personalized Name Plate Station: Handicrafts Atbp. Very nice and colorful decorations. I love this Mary Poppins theme party. The cake looks so yummy. Bongga ang 1st birthday ni baby Tharaa! I love the themed brings me back to my childhood memories where i love the movies so bad, i love the hat and the cake..quite mary poppins indeed. Again another masterpiece. The carousel is beautiful! Wonderful and amazing are the words that describe this birthday party. This theme reminds me of my high school days, uit was then when I first saw the Mary Poppins. Beautiful!